BUC3C series industrial digital cameras have hardware frame buffer, the speed is much higher than common digital cameras. BUC3C series digital cameras are bigger than BUC3B series digital cameras. With USB2.0 interface, from 0.36 mega-pixel to 14.0 mega-pixel colorful and mono digital cameras are available. Among these cameras, 0.36 mega-pixel digital camera has high sensitivity, high dynamic range, global shutter, hardware frame buffer and high-speed features. Other digital cameras have high sensitivity, high dynamic range, rolling shutter, hardware frame buffer and high-speed features. 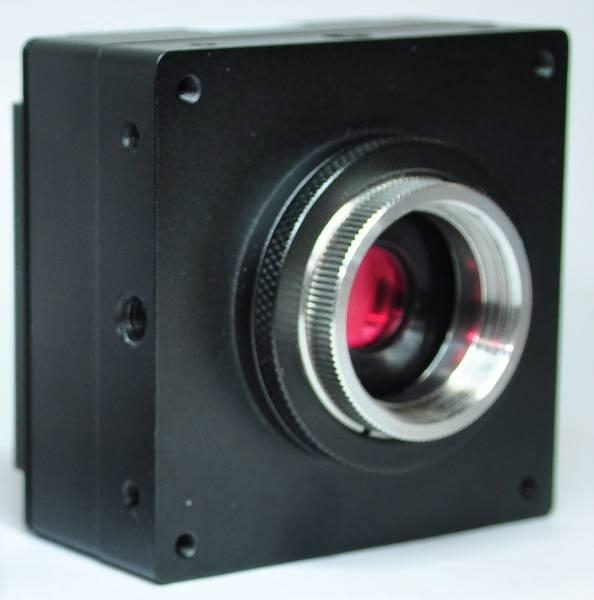 BUC3C series digital cameras are widely used in machine vision and a variety of image acquisition areas. 25. Support external trigger acquisition and flash light control. 2m USB cable, 1 CD with software and SDK.